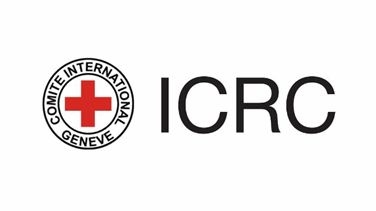 The International Committee of the Red Cross (ICRC) appealed on Sunday for information on the whereabouts of three employees abducted in Syria more than five years ago and last known to have been held by Islamic State. Breaking its silence on the case, the independent aid agency identified the three as Louisa Akavi, a nurse from New Zealand, and Syrian drivers Alaa Rajab and Nabil Bakdounes. U.S.-backed forces proclaimed the capture of Islamic State's last territory in Syria last month, eliminating its rule over a caliphate which it had proclaimed in Iraq and Syria in 2014. "We call on anyone with information to please come forward. If our colleagues are still being held, we call for their immediate and unconditional release," the ICRC said in a statement. "Our latest credible information indicates that Louisa was alive in late 2018. The ICRC has never been able to learn more details about Alaa and Nabil, and their fate is not known." The three were travelling in a Red Cross convoy delivering supplies to medical facilities in Idlib, northwestern Syria, when it was stopped by armed men on Oct. 13, 2013. Four other people abducted with them were released the next day. "Following the fall of the last territory held by Islamic State group, we fear there is an extra risk of losing track of Louisa, though we remain hopeful this period will instead open new opportunities for us to learn more about her whereabouts and well-being," the ICRC said. She has been held longer than anyone in ICRC's 156-year history, said Dominik Stillhart, ICRC director of operations worldwide. New Zealand's government said it was searching for Akavi, who successive administrations had previously asked media not to name as they feared it would put her at greater risk. Foreign Minister Winston Peters said the government had deployed a non-combat team based in Iraq of around twelve people that included special operations personnel. "This non-combat team was specifically focused on locating Louisa and identifying opportunities to recover her," Peters said in an emailed statement. "Unfortunately the current whereabouts of Louisa is unknown. However, the New Zealand Government continues to work tirelessly to locate her and bring her to safety." After being moved by IS forces to Raqqa in 2017, Akavi was seen in Al-Bukamal in late 2018, close to the Syrian-Iraqi border near the Euphrates River, the last concrete information on her whereabouts, Stillhart said. "What we actually know is that Louisa has been working as a nurse during her abduction which shows her dedication and commitment to the mission and mandate of the Red Cross - caring for people affected by conflict," he said.